Anyone who was around in the eighties might remember that wearing blue eyeshadow was considered a fashion faux pas unless of course, you were in theater or an exotic dancer. Well, this isn’t the eighties, and blue eyeshadow has made its way back to the palette, including Kim Kardashian’s new line of makeup KKW X MARIO that is a collaboration with makeup artist Mario Dedivaovic. One of the bold colors featured on Kim Kardashian’s social media accounts for the new lipstick and eyeshadows is bright blue and fans are loving it. Kim first shared a photo of her wearing a black form-fitting gown with heels while wearing bright blue eyeshadow at the launch dinner party at Jean-Georges in Beverly Hills. The photo received over one million views and more than 12,000 comments. 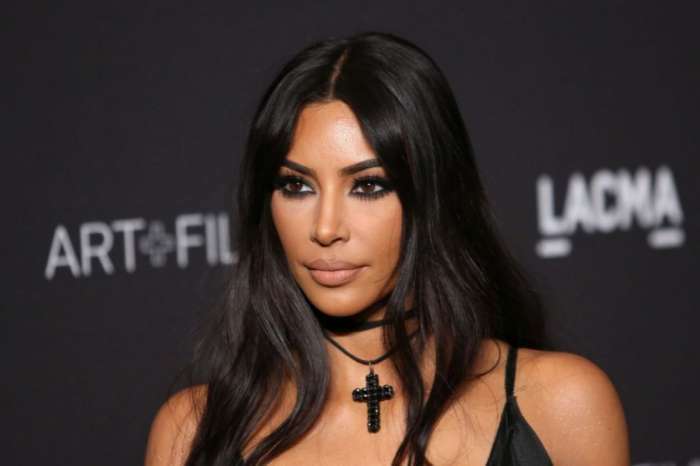 The comments praised Kim Kardashian’s look and negative comments regarding Kim Kardashian’s eyeshadow weren’t posted. In fact, people loved the collaboration between Kim Kardashian and Mario so much that the blue eyeshadow quickly became a top seller. Lip Glosses and Eyeshadow Palettes still available on KKWBEAUTY.COM #KKWxMARIO ? Blue eyeshadow was a staple of sixties fashion and for a while, it was indicative of that time period. In the movie Buffalo 66, Christina Ricci wore bright blue eyeshadow but you didn’t have the feeling you were watching a modern film, but a retro one. In Anna Biller’s The Love Witch, Samantha Robinson’s character Elaine also wore blue eyeshadow. Again, the movie was a time period piece and the audience knew they weren’t watching a film that took place in the new millennium. Elizabeth Taylor’s Cleopatra created an iconic costume of the Egyptian queen with heavy black eyeliner and heavily painted blue eyeshadow covering her lids. To this day, most people think of Elizabeth Taylor and her costume when they think of Cleopatra. While blue eyeshadow has secured its place in theater and film, there was a recent period of time where women shied away from the vibrant color. Today more celebrities and women are proudly wearing bright blue eyeshadow. What do you think of blue eyeshadow? Do you wear it? Are you a fan of the Kim Kardashian look with bright blue eyeshadow? Are you going to pick up one of her new palettes?